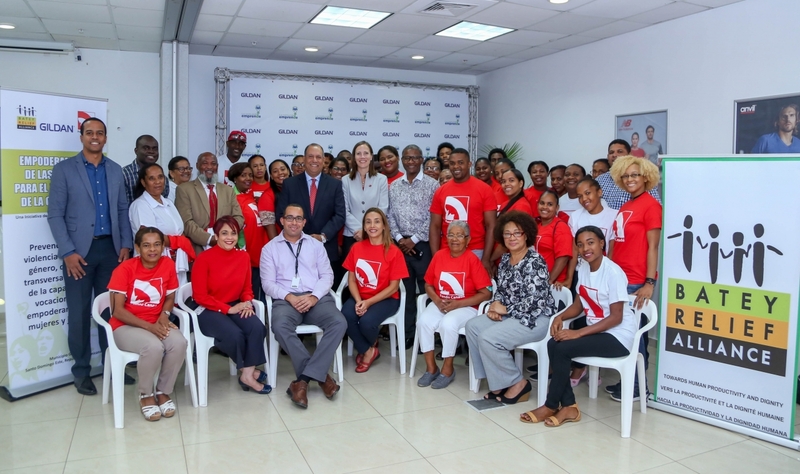 Gildan has launched a new initiative in the Dominican Republic entitled "La Comunidad Emprende" (The Community Startup). Co -funded by the Canadian Embassy and in partnership with the Batey Relief Alliance, the program aims to empower women and young people, providing training, guidance and the encouragement to pursue their own business. As one of the Company’s Core Values, entrepreneurship can provide an avenue through which women and youth can pursue financial self-sufficiency, and strengthen their personal situations in ways that will allow them to increase their independence and mitigate the risks of violence. Free workshops and lectures will provide the practical skills and knowledge to allow participants to discover new ways to support themselves and their families. Twelve workshops and twelve lectures will be held in the communities of Bella Vista, Mata Vaca and Mata de Palma in Guerra. Over 180 participants will benefit from the training, equipping them with the tools to help improve their lives.